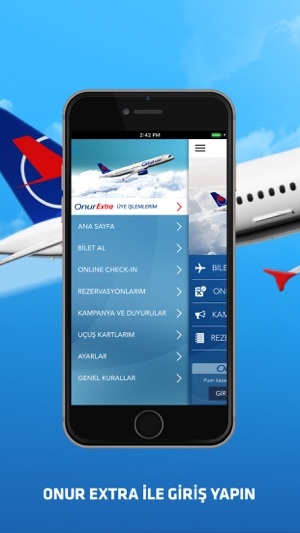 Now it is much more pleasant and easy to fly thanks to the brand-new mobile application of Onur Air! Our user-friendly design enables you to perform all your flight-related processes easily by means of the application. •	You can view all our domestic and international flights, and purchase your flight ticket for any flight easily on our new application. •	If you are a member of Onur Extra, you can take utilize all advantages and discounts exclusive to you. If you are not a member of Onur Extra, you can join Onur Extra easily. •	You can perform online check-in processes. •	You can select your seat. •	You can upgrade your baggage allowance. •	You can place your meal orders before flights. •	You can create your own mobile pass to save time. 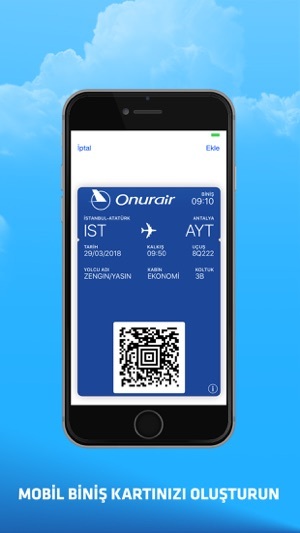 •	You can add your boarding pass to the application "Wallet", if you wish. •	You can always be kept informed about all our campaigns and announcements. 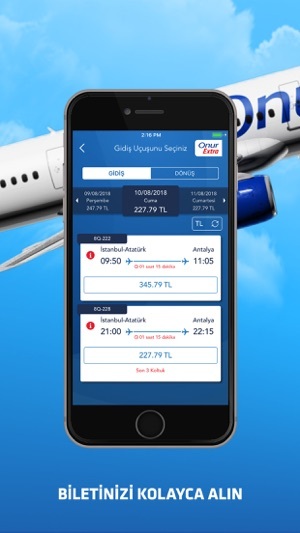 Uçuş araya bastığında appcrash oluyor. 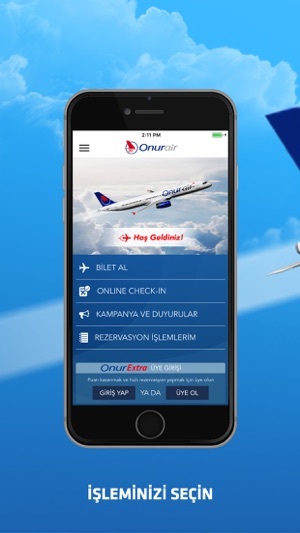 bir yazılım testçisi olarak ayıpladım..
Onur Air Tasimacilik A. S.
© Onur Air Tasimacilik A. S.